I was never a bait fisherman. I’d spend hours – even days – throwing lures into apparently empty water because that’s what I believed in. At times, grudgingly, I’d admit that I was flogging a dead horse and concede to pinning a hook through the tail of a live prawn or lip of a poddy mullet. Guess what? I’d catch fish. Those who knew me well may even have heard me mutter (after a few schooners) “sometimes bait does work…” But as far as I was concerned that wasn’t what a ‘proper’ fisherman should do. My Queensland trips started the process of broadening my horizons. Four days of fishing on a totally empty stomach will do that to you. I’d conned dad into agreeing to live off only what we caught during our inaugural month-long journey from Dubbo to Cooktown. The rations we’d taken with us – venison jerky and a couple of smoked crested pigeons – kept us going for the first week. This was supplemented by a giant trevally and a gold-spot estuary cod. But by the second week we were down to raiding a magpie goose nest; then came the Cardwell Four Day Dry Spell. It was time for action. I bought a cast net. We baited hooks and found the fish. The thing I’d always distained about bait fishing is that it just seemed so static and mindless. I could never stand just sitting down and waiting for a fish to stumble across my bait. Like Toby Keith, I wanted to hunt. But for the general Australian populace, bait fishing goes hand in hand with stubby coolers. Maybe it stems from exasperated parents telling us kids that nothing will eat the bait if we keep reeling it in. Either way (apart from a couple of specialised techniques); in Australia it does seem taboo to go near your gear once the bait is out. Fishing the lakes of Canada has made me appreciate the seriousness of bait fishing. At least within the circles I feel at home in, there is no stigma attached to it. Bait fishing is recognised for what it is: a winning combination. Canadians tend to shake their heads at mad keen lure fisho’s up from the US, chucking flash gear frantically while the locals drop a minnow and limit out before taking their time to enjoy a day on the water. What I want to stress is that fishing bait – actively fishing it – can be a very good thing. The majority of bait fishing in Canadian lakes is targeted at capturing the legendary walleye. The largest North American member of the freshwater perciform family might not immediately strike any chords with the Australian angler. But, when you start fishing for them, you soon realise that there are marked similarities between them and our own legendary dusky flathead; perhaps the most important being that if you aren’t fishing the bottom, you’re “just taking your bait for a walk”. 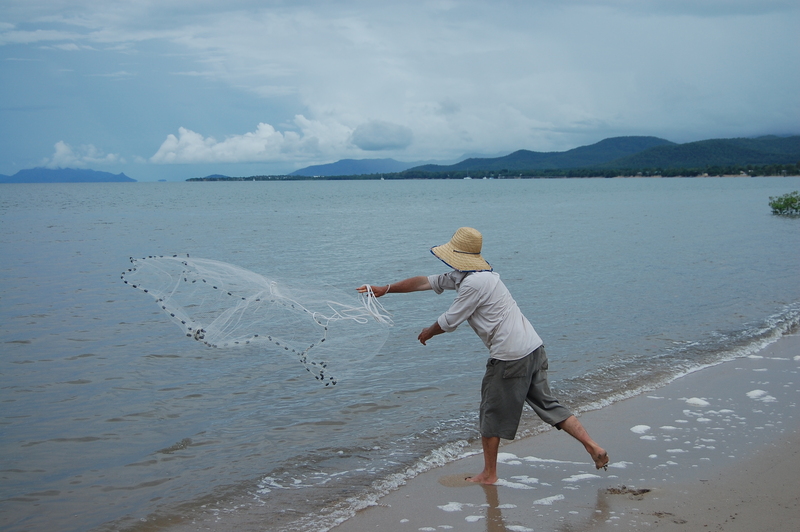 The ultimate weapon in these parts of the world seems to be the humble jig and minnow. You can’t really get much simpler in terms of presentation, and I can see how soft plastic fishing could have evolved from this technique. 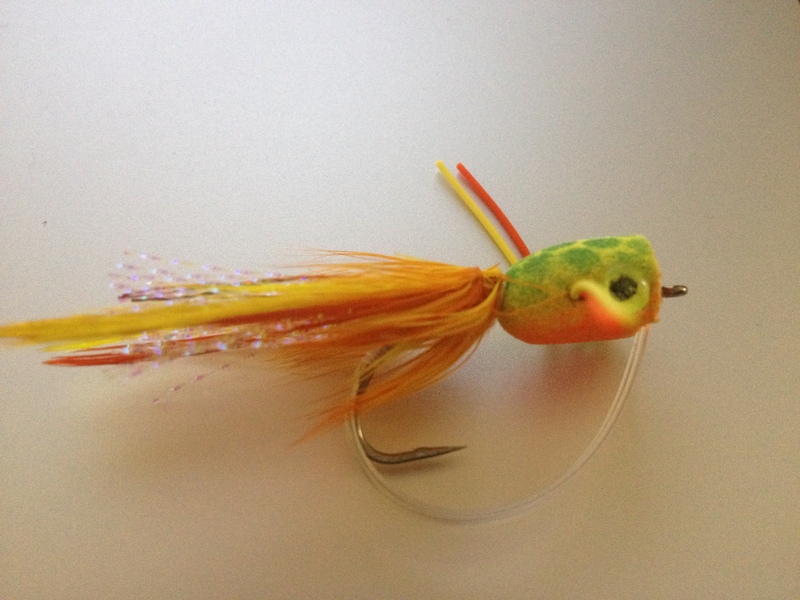 One thing is for certain, if you want to catch fish – especially walleye – a jig and minnow is hard to go past. There isn’t much to it. 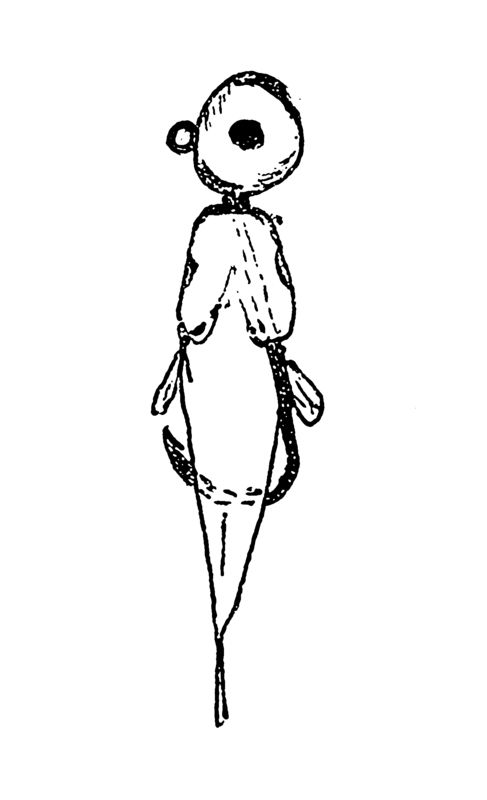 You take a small baitfish, perhaps 30 – 100 millimetres long; a quarter ounce jig head (heavier or lighter jig heads are used depending on water depth and current strength); and you run the hook through the mouth exiting at the gill, before hooking the fish again through the side to ensure it stands up to the rigours of jigging and bites. This simple setup can be cast and jigged back to the boat, hopping the bait along the bottom. Fish a little mullet like this in flathead country and I’m sure it wouldn’t go unnoticed. I’d say that many estuary species could be tempted. In deeper water, snaggy country, or simply when the fish are stacked up underneath the boat; vertical jigging is the natural choice. Getting the bait to the bottom before jigging it up and down is all that it takes. Just think how effective this could be on inquisitive, competitive schooling fish species (listen to the bream fishers gasp at such a thought!). Of course this isn’t the only species that would likely be interested – appropriate baits could have you connecting with winter bass in impoundments, estuary perch, grunter, snapper – the list goes on. 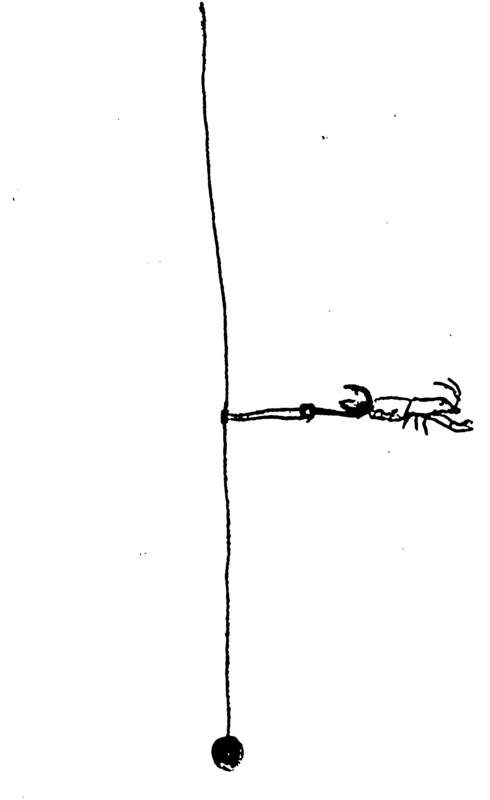 One of the few Aussie active bait fishing techniques is a form of vertical jigging – a paternoster rigged yabby bounced among logs or standing timber for yellowbelly and Murray cod. A heavy sinker is preferred here as it makes a racket when colliding with the structure – attention grabbing activity. Don’t think you’re going to scare fish away by making your bait move. 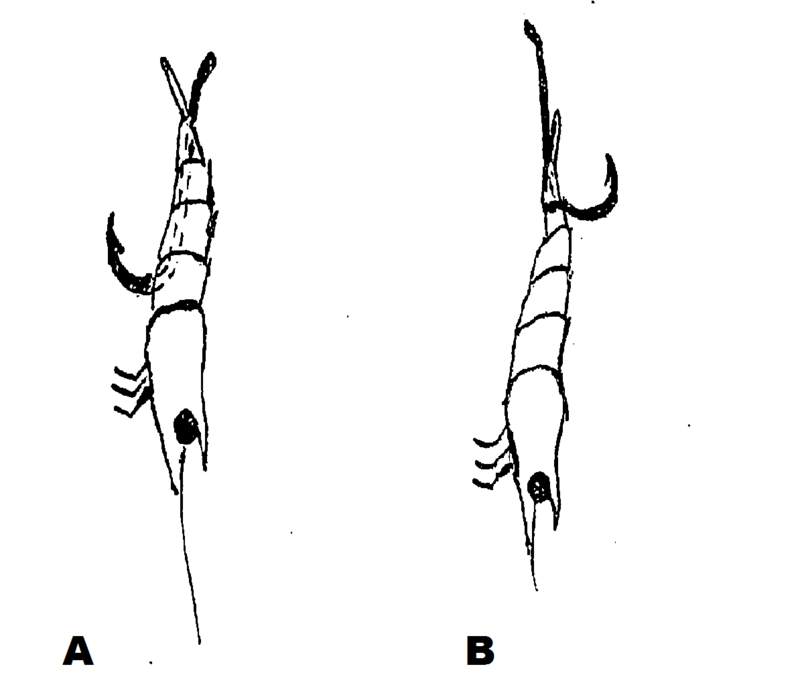 What I’ve described are a couple of the most straightforward methods of actively fishing bait used in North America; but there are a multitude of techniques. Floating jigs, bobbers, Lindy Rigs and crawler harnesses are all designed to present bait in attention grabbing ways; and all can be used to actively cover water just as lures are. All of these techniques have applications in an Australian context. At its simplest, the idea is that anything you can do with a soft plastic, you can do with the real thing. Getting your hands on good bait is often the most difficult thing, but if you can do it then you should consider it. Think outside the box. Try out ideas. At the very least you are presenting the fish with something they would already consider eating – no fooling them into thinking what you are waving about in their faces is food. There are always going to be those that consider bait fishing as uncouth. To them I say just because you can do something, doesn’t mean you have to. Persevering with a certain technique because it’s seen as higher up on a perceived hierarchy, until you finally catch a fish doesn’t prove anything. Did you outsmart the fish or catch the only one stupid enough to go for what you doggedly flung? What is the more mindless act? I’d rather be the heathen with a full belly than the gentile with a sore casting arm! As NSW fishers should know, changes to the recreational fishing regulations came into effect on 3 November 2014. These changes included the creation of a slot size limit for the Murray cod. The former minimum size limit of 60 centimetres was reduced to 55 centimetres; and a maximum size limit of 75 centimetres was introduced. While slot sizes are nothing new in fisheries management, they haven’t been seen too often in an Australian context until recently. Even so, a lot of fishers are already aware of the idea behind slot limits with many voluntarily releasing the ‘big breeders’ in favour of keeping a few smaller fish. For many fishers, then, it appears that we accept the hoped for benefits that selective harvest of our sportfish will bring. But for anyone that was wondering how these numbers come up, here is an explanation of why a slot limit can help conserve our legendary Murray cod. It may or may not come as a surprise that the Murray cod formed the backbone of a commercial inland fishery during the late 1800’s and early 1900’s. I’d never really thought about there being a commercial inland fishery in NSW until I started researching for this article (see Rowland 2004 here) – but it only closed in 2001! In the southern waters of NSW and in Victoria, commercial fishing for Murray cod was a pretty significant factor in the decline of the species particularly from the late 1800’s to the 1930’s. Murray cod remained the major commercial fish species on inland waters until the early 1950’s when stocks appear to have reduced to such a level that golden perch took its place as the most heavily commercially fished species in the Murray-Darling Basin. Commercial fishing was not the only cause of decline in NSW cod stocks. In northern rivers where there was no commercial fishery, it is likely that the release of toxic chemicals from sheep dips in the early 1900’s was a major cause of fish mortality. The impacts of the introduced redfin perch peaked in the 1950’s. 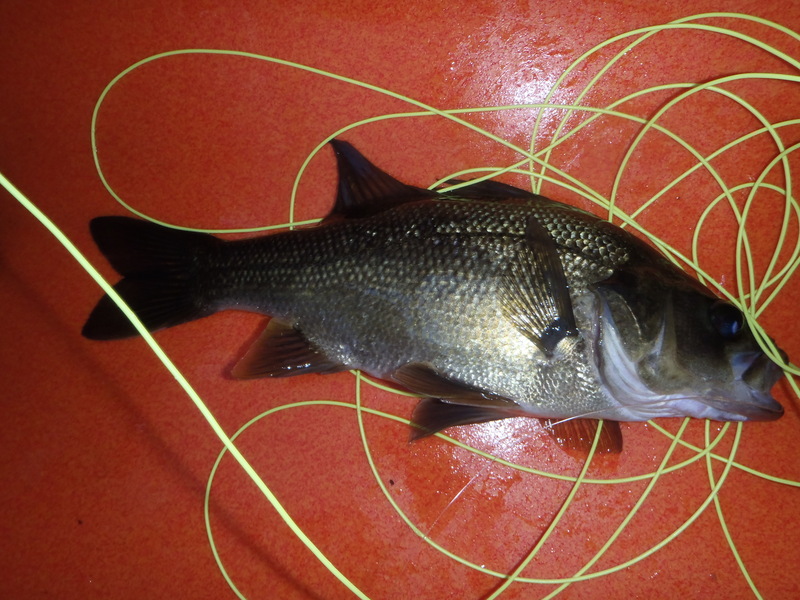 The redfin, having a diet exactly the same as cod and golden perch, competed directly for food, while their earlier spawning season would have enabled juvenile redfin to prey on Murray cod larvae. Changes to river flows particularly through the creation of dams, weirs and levees since the 1950’s has significantly altered the waterways that cod inhabit. Cold water pollution (releasing cold water from dams during summer) and flood mitigation all but remove the conditions required for optimal spawning and survival of larvae and juvenile fish. Recreational fishing began to take a toll after the 1950’s as the cod was still important in the diet of many inland communities. With the development of better vehicles and increased access to the bush, fishing pressure increased and the use of illegal fishing methods continued to exploit the species. Fishing regulations were introduced for the Murray cod in 1992 including a closed season, a size limit and bag limit. The implementation of these regulations since then has played a significant role in the continued and apparent recovery of the species across the state. The current recreational fishery for Murray cod in NSW is heavily geared towards catch and release, with a survey conducted in 2005 indicating that on average, anglers were releasing around 77 per cent of the cod they caught. Minimum size limits are aimed at protecting fish until they have reached sexual maturity and have theoretically had the chance to spawn at least once (see some relevant articles – Hill here and Hixon et al. 2014 here). Traditional management practices have focussed mainly on raising the minimum size limit. This practice means that more fish have had a chance to breed on one or more occasions before they can be harvested. The downside of this is that it doesn’t necessarily protect the best breeders in the population. For many species, large females are ‘more’ important members of the breeding population because they produce more eggs (bigger fish equals bigger ovaries). In addition to this, bigger females are known to produce higher quality eggs – eggs that are bigger and better provisioned – meaning the resulting larvae grow faster and are less likely to starve. Bigger fish are also themselves more capable of surviving bad years, therefore being ready to spawn again when conditions improve. It is also likely that older fish are more competent breeders as they have more experience under their belts. This relates not only to selecting good spawning sites; male Murray cod guard the nest (potentially until the juveniles leave it), keeping the eggs aerated and keeping potential predators at bay. An older fish might be better at the job through experience. Seeing as they don’t eat during this period, large healthy males may also be better equipped to withstand the energetic demands of such a task. Firstly, it’s handy to understand a few numbers relative to the Murray cod. Research shows some variability in the length to age relationship (Kearney & Kildea 2001 here); but generally the principles behind management remain the same. At the age of 4 years the average female cod is around 48 centimetres or longer. At the same age an average male is 53 centimetres or longer. Correspondingly, 77 per cent of females and 72 per cent of males are sexually mature by this age/length. By the time a cod is 5 years old it is most likely sexually mature. The simplest description for us is that all cod of 59 centimetres or greater in length are sexually mature. So at a Length of 55 cm (the new minimum size limit) we should see the vast majority of cod as sexually mature, with most legal sized females having had at least one breeding season under their belts. When it comes to reproductive potential, not all females are created equal. The relative fecundity (the reproductive rate; or the number of eggs produced) of Murray cod ranges from 3.2 to 7.6 eggs per gram of body weight. But importantly, the absolute fecundity has been shown to be from 6800 eggs for a newly mature female of 48 centimetres in length; to 86 600 eggs in an old female measuring 105 centimetres. From these numbers it is easy to see that a few big females are far more productive than a lot of little ones. It would take more than 12 young, small females to produce as many eggs as one old, big female; and the eggs produced by the little girls would be on average smaller with less yolk provisions for the larvae. The Victorian Department of Environment and Primary Industries conducted extensive research and modelling of varying slot size limits and their effects on Murray cod populations. Some of the results of their work can be viewed here. Given a basic minimum size limit of 60 centimetres, a cod would be legally protected from harvest for at most 6 to 7 years of its life; and during most of that time the fish would not be contributing to the breeding population. Considering that cod have the potential to live well in excess of 50 years; that’s a long time that an adult fish is vulnerable to harvest. Putting in place a maximum size limit of 100 centimetres, such as that which was in place in Victoria, leaves a cod vulnerable to harvest for about 10 years. A minimum size of 50 centimetres and maximum of 70 centimetres, on the other hand, reduces that vulnerability window to just three years of a cod’s lifespan. The vulnerable period would coincide with early sexual maturity when fish are less productive breeders; while protecting both immature fish and highly productive older ones. The new 55 – 75 centimetre slot keeps the vulnerable period to around three years, while ensuring a high proportion of fish are sexually mature beforehand. Fisheries management is always going to be a compromise between the interests of a variety of stakeholders with all sorts of priorities. 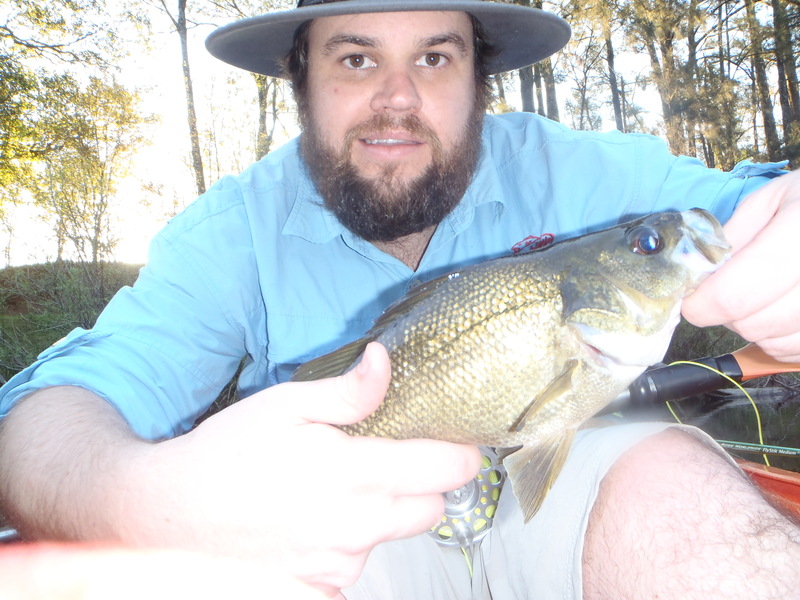 For the Murray cod in NSW, the introduction of the new slot limit provides legal protection for our young up-and-comers as well as the experienced veterans of the rivers – to some the ‘trophy’ fish. The protection of these vitally important members of the population will in time lead to more fish at either end of the spectrum, with a healthy supply of middle-size fish that we can continue to enjoy eating (come on, no one can deny how tasty a cod is!). According to the aboriginal Dreamtime story, after Nepelle and Ngurunderi had speared the great ponde (Murray cod); it having carved the Murray River during its trip down the infant stream to Lake Alexandria; and after they had cut and thrown pieces of it into the water to create all the other fish of the river; they threw the remainder back saying “you keep on being ponde” (Rowland 2004 p.40). As long as ponde keeps swimming in the waters of the Murray-Darling Basin, our waters will continue to be the stuff of legend. My mind was set, I had some small jobs to do in the morning, I’ll swing past the roof rack place and pick up the padding I forgot to get when I had the racks installed and straight to the river by mid afternoon. The plan was sound until I arrived at the RMS and the line was all but out the door, that’s right school holidays. 30 or so minutes later I emerged with out hassle and heading to load up the kayak. This was going to be first trip out this season in the kayak as I had recently sold my old car in move to downsize, and reduce costs. I miss not the go everywhere Camry, but it was sensible going to the newer car and just putting roof racks on it. I also made a very tough decision that I would only take my fly rod with me this trip. It was a difficult choice to make, as being the first trip in the kayak to my favoured location for the season and I was going to be, what I saw as at a disadvantage due to my experience with fly rod. I won’t lie when I was sorting my gear I packed a separate bag for my spin stuff. Upon walking out the door I forced myself to leave it on the lounge. I arrived at the river around 1530, the light was still bright and the day had been very warm. My heart sunk a little when I pulled up to see another car parked that had roof racks on and a sticker of a bass stuck to the rear window. As I was unloading I pondered if I was going to go upstream or downstream, and where was the likely place the other individual had headed. Deciding upon heading downstream as the terrain was a little more open and would allow for a little more ease in fly casting I set off. The water was still up from the big rains a few weeks back, some of the portages I was able to navigate without getting out of the yak. I was unsure what to expect fly-casting from a yak; I am still relatively new to the whole fly-fishing scene and probably struggle to cast much more than 30-40ft on grass. Today however everything seemed to slot into place, all the visits to the local park with fly rod in hand had paid off. Although my technique was still lacking, I was managing to cast well and land the fly reasonably gently and somewhat accurately. I could feel the rod loading well on the back cast as well, even though I was not watching my back cast as vigilantly as I would normally. 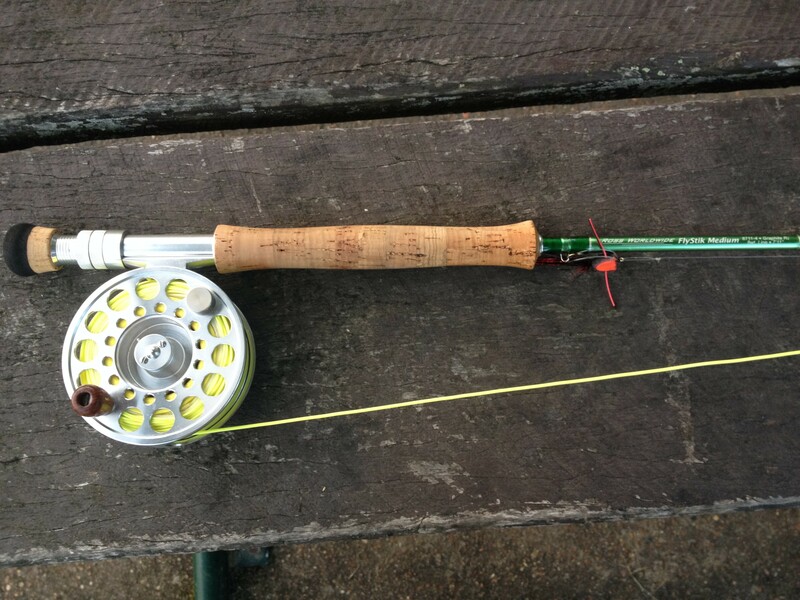 Ross Flystik 8wt, Pflueger Trion 1990, Rio Clouser WF8F. I pulled up at the end of a long sunken log, and launched several casts parallel up its length. I had a foam popper fly I had bought tied on, and was retrieving with short sharp strips; this was because I found it difficult to do long strips while in the kayak. Around 15ft away on a pause there was a subtle eruption from the water, where my fly just happened to be. I grabbed tight onto the fly line and stuck, the fish was on. The first had intentions of returning to its home under the log, and tried valiantly to do so on multiple occasions. My intentions were different; I was trying to persuade it to come out into open waters where I could easily get a hold of the leader. The fight was like nothing I had ever experienced before; it felt like truest form of angling. After some contortion of my rod arm I landed the fish. I do believe I may have even let out a little yelp of joy. The difficult part was taking the all too important selfie. With one hand I set up the Camera, jamming it in between the rod holder and kayak and set the timer. Note to self, I really need to devise a better way to take pictures in future. After some minor discomfort I promptly got the little fella back into the water. It suckled on my thumb for a moment and shot off back under the log. I fished on with a heighten enthusiasm; I was very pleased with my efforts of the day. I received several more strikes, however I didn’t get the hook set. I also nearly landed another species on this afternoon. While fishing an overhanging dead tree, a little water dragon launched itself from a good 3 meters high right onto my fly. Being clumsy with the situation I couldn’t get the fly away from him fast enough, he took hold of it and gave it a good chew before spitting it out. I am thankful for the weed guards as I assume they stopped the hook from setting in its mouth. Last thing I wanted to deal with is a water dragon tangling up my fly line. That wasn’t the last of the wild life I would see on the trip, floating along I happened to look next to me on the relatively close rocky bank to see a meter long brown snake sunning itself in the last rays of the day. I opted against attempting to take a picture of the creature as its proximity was concerning, I swiftly paddled away. I returned to my launch spot, and loaded my car. 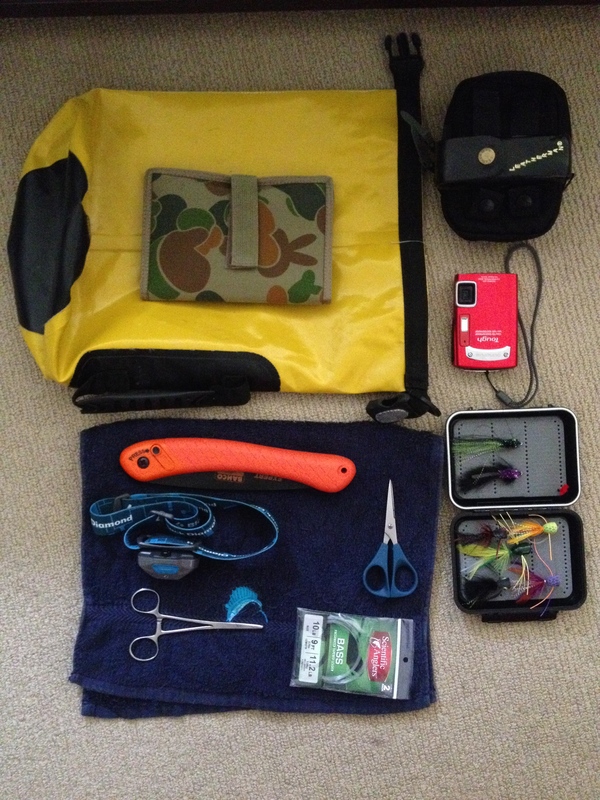 One thing I do enjoy about fly-fishing is the minimalist amount of gear needed. Box of flies, replacement leader, scissors, forceps, a rod, reel and some other odds I like to carry and I am ready to go. It also all fits into a small dry bag! This is what I took with me for an afternoon out on the water.